Similar to The Four V’s of Big Data, Brandify identifies the Four V’s of Reputation to help companies adapt their products and services to better meet customer needs, improve their brand’s online presence, and convert prospects to customers - all the while, using the Brandify dashboard to take full control of the information in a way that is incredibly efficient, identify potential problems, and implement solutions more quickly. Volume – How Much: Volume is used to describe the amount of information that is involved in the process when considering all of the possible sources. According to IBM, 90% of today’s data has been created in the last 2 years. It’s easy to see why data volume can quickly become a serious concern to access, manage, and effectively use that data. The volume of data a business can collect on a daily, weekly, or monthly basis can be overwhelming. Not only does your team need to manage traditional data points, they need to keep track and monitor any data created by social media networks. Brandify provides a user-friendly system for analyzing this data. 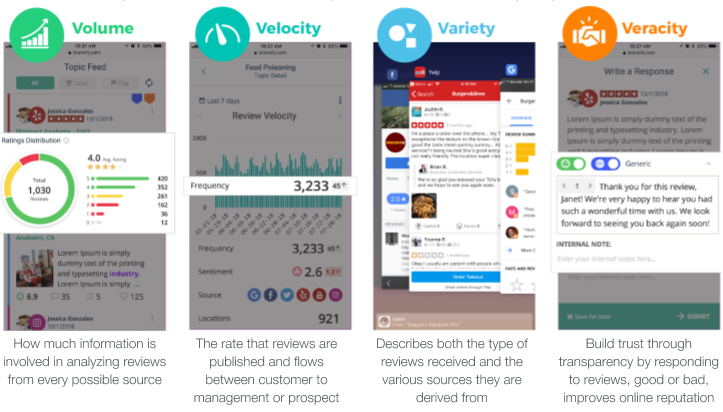 Velocity – How Fast: The term velocity is used to describe the rate at which reviews are published and the pace at which the information flows from customer to management or more importantly - new prospects. With the widespread use of computers and mobile technology, the flow of information can be overwhelming without a system that allows you to store, categorize, and filter these reviews in real-time. Especially with the addition to more traditional means of interactions and the use of social media that creates a continuous stream of data. The Brandify platform allows you to filter through the “noise” and focus on the important information with reporting features like word cloud and topic extractor to help you identify potential problems and implement solutions more quickly. Variety – Different Channels / Types of Reviews: Variety is used to describe both the different types of reviews as well as the different sources they come from. The sheer variety of reviews from the numerous types of channels can cloud your decision-making process. Brandify provides one platform that groups reviews by location, allows tagging reviews for internal use, easy response capabilities for Google, Facebook, and Yelp, and view powerful reporting. A useful tool that is also available is Sentiment Analysis which helps filter through the variety of reviews in order to have a big picture view of the data. Veracity – Trustworthiness: Veracity refers to the trust we build with customers through transparency. Companies with high-volume reviews are more likely to experience some level of negative reviews. A study conducted by Brightlocal found that two-thirds of customers form their opinion of a business after reading just four reviews. 85% of customers trust online reviews as much as personal recommendations, so it’s critical to ensure that your online reputation is a strong representation of your business. 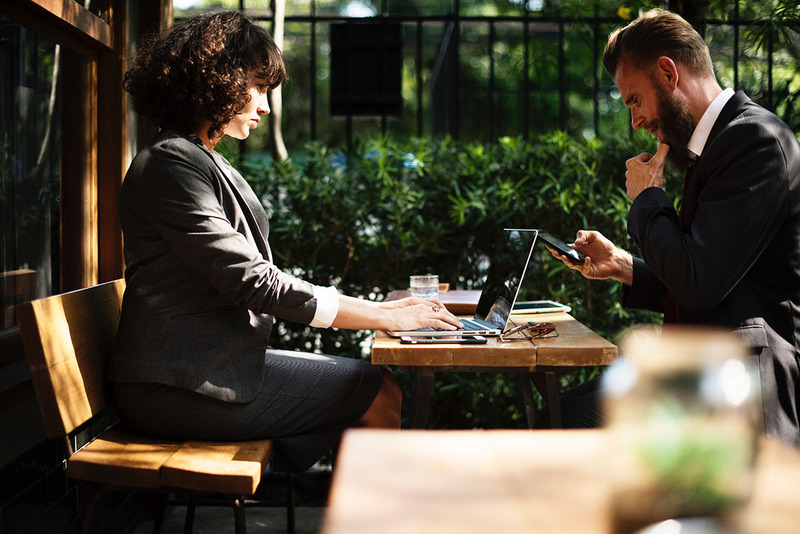 Luckily, there are ways to counter a negative review to turn an unhappy customer to a returning one, and even willing to update their online review to a more positive one. First, companies must respond - quickly. Not responding to a negative review is responding. It’s telling everyone that sees the bad review that the company does not care about their customers’ feedback or experiences. Responding to reviews, good and bad, can help build trust and transparency. It can provide clarity to incorrect information, and show professionalism. Traits that exhibit honesty and a clear attempt to right wrongs will set a company apart from its competitors. Responding to reviews in a timely manner for every location can be a daunting task. Fortunately, Brandify offers access to real-time reviews being posted about your business from various sources combined into one platform to easily respond publicly or privately at scale, and even tag or flag for internal use. The important factor about veracity is the action that is taken to respond to the poor reviews and improve your brand’s online presence in a powerful way. Let Brandify take your company to a higher standard of reputation management. Our review monitoring service comes fully equipped with access to full text reviews, alert notifications, and keyword trend analysis. An even more exciting feature available through AI technology is our Smart Review Response, that creates a selection of appropriate responses based on keywords and trends from past response styles that are also personalized to the specific customer. Interested in learning how reviews can help your brand build trust? Read our blog post on the importance of Reputation here.